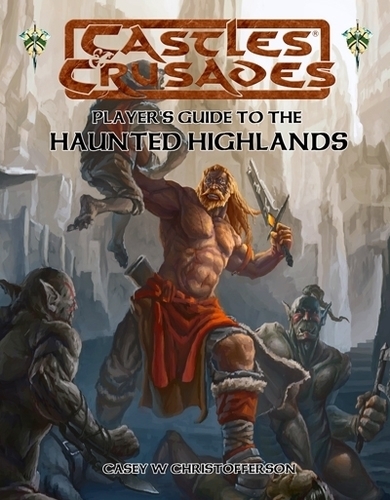 The Players Guide to the Haunted Highlands includes new player content for your Castles & Crusades game. Within you'll find new racial variants, class specializations, new spells as well as a gazetteer to the Haunted Highlands geared for player use with persons of note, deities and more. This book includes the basic rules of the Castles & Crusades game. You can play C&C with it, however items such as low level spells for the spell casters are very limited. For use with the Haunted Highlands setting, or port it to your Aihrde or homebrew.